Through education, a farm, and a little inspiration from a hummingbird. I first met Erick from a laptop screen in San Francisco, California, as he Skyped in from Kisumu, Kenya. 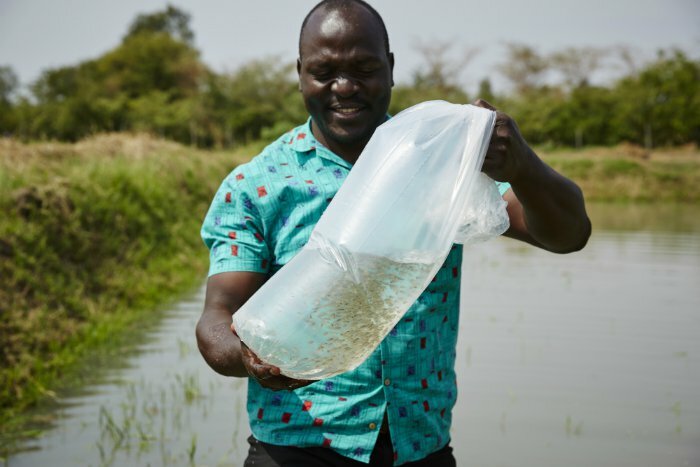 Three months later, we stood surrounded by kale and onions as he described his vision for the sustainable farm that he manages just outside Kisumu. That first video chat was the true beginning of my Global Advocate Fellowship with the organization Mama Hope. More importantly, it was the beginning of a friendship and working partnership where I learned that big dreams aren’t a problem if you have a work ethic and mind like Erick’s to make them a reality. My name is Erick Ochieng; a young man aged 33 years old coming from the slopes of the Nandi Escarpment, a famous land formation adjacent to the Great Rift Valley in Western Part of Kenya. I live along the Lake Victoria basin in a tiny village dominated by the Luo ethnic group, the third largest tribe in Kenya. This region has an equal share of challenges and opportunities. It is blessed with a combined 650 miles of sugar belt, the largest in Africa. The sugar belt is suitable for large-scale sugarcane production, but the region also produces other crops including maize, sorghum, groundnuts, and various vegetables. 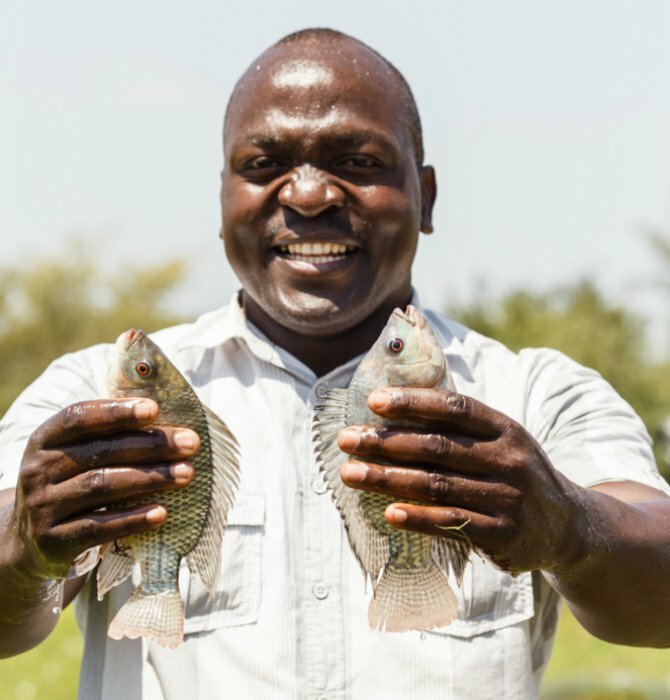 We are also the sole suppliers of fish from Lake Victoria, the largest freshwater lake in the world! In the midst of these great opportunities, we also have our share of challenges. This region is among the poorest in Kenya. We have one rainfall season lasting barely 2 months, and the rest of the year is dry. Rainy seasons are characterized by heavy flooding, a perennial occurrence which makes the rains more a disaster than a blessing to the farmers. During the rainy season, buildings are destroyed, properties are swept off, and the crop fields turn into temporary lakes. The region is also malaria-prone, and has the largest HIV/AIDS prevalence rate in Kenya. However, the spirit of our community is alive and we stay positive that we shall overcome! I have lived in my village from the time I was born. Growing up, I lived a life full of uncertainties, not knowing whether I would be in school the next day or whether I would miss a meal. When you have such a childhood, learning in a classroom with no walls and rusted iron sheets above your head, you start imagining whether other children also go through the same. As you walk home from school down a flooded road, you notice poor farmers counting losses because heavy flooding has swept away their crops--the same floods that had destroyed part of our classroom the previous day. From seeing this all at a very young age, I knew I had a responsibility to change the conditions my community was living under. Life could be so sweet in the village when we were sharing, food, sitting around a common fire place in the cold evenings, bird hunting, swimming in the rivers, or celebrating with festive dances. But life could also feel very restricted because of a lack of education and opportunity. I knew I had to shape my community by educating myself as much as possible. I got an opportunity to go through training in agriculture and forest science. This opportunity never came easy. I was the first person in my small community to pursue higher education. I was so excited when I received my admission letter to a public university because I knew I would come back to change the way my community has been practicing farming. I would work with them so that they could start filling their baskets with enough food for consumption and income, while at the same time restoring their degraded land and environment. How have you put your passion into action? Today I work as a program manager with OLPS, a Kenyan-based National NGO that works with communities in western Kenya to address the devastating effects of poverty, HIV/AIDS, and environmental degradation by implementing evidence-based interventions aimed at creating sustainable livelihoods and restoring human dignity. 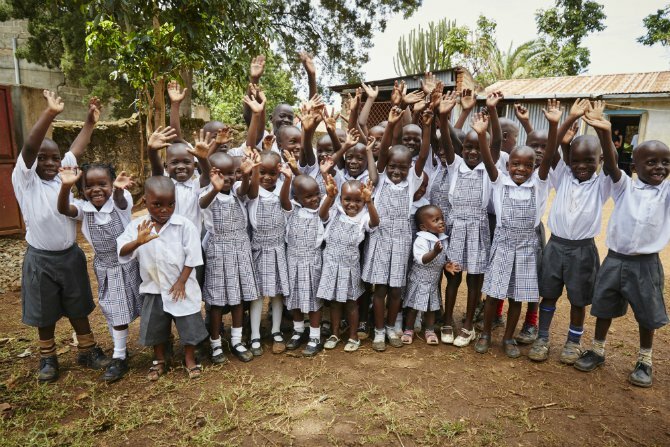 At OLPS, I coordinate the activities of the community water project, the sustainable farming project and the Kisumu Children’s Rescue Center for children in critical need of care and support. I do this job because I love it and believe in it! These are projects that I am passionate about because they are an opportunity to face the challenges in our communities head on. When I began my career, I was aware that to effectively solve my community’s challenges, there was a need for benchmarking with other communities facing similar challenges. I found that OLPS’ mission of working with communities to find solutions to their challenges resonated so well with my mission that I was convinced that I would make a perfect team player for this organisation. In my first position, I used my life experience to mentor children in school by demonstrating to them that their prevailing circumstances shouldn’t be a factor to define their destiny, but rather a clear focus into what they wish to become. One student under my mentorship emerged as the 4th best nationally in the Kenya Certificate of Secondary Education examination of 2010 and 5 others performed in the top 100 nationally. After about four years, I requested the opportunity to put my knowledge and experience in environmental management and agriculture to work at OLPS’ sustainable farm called the Rita Rose Garden. I was aware this was going to be a huge responsibility because of the farm’s challenges. At the time, the farm suffered from poor soil, erratic rainfall, and severe drought. However, my passion to use agriculture to create a sustainable impact on the socioeconomic well-being of the community informed my decision to take on the responsibility. How has your focus on sustainability changed the farm and community? Since then, I have seen the farm grow from nearly barren to very productive land. The land now hosts multiple enterprises with great promise for profitability and sustainable impact on the community’s livelihood, as well as the organisation’s revenue flow for its other programs, such as the Rescue Center for children. The farm is the sustainability backbone of OLPS’ Kisumu Children’s Rescue Center. However, I want to go beyond this and make the garden a center for conservation agriculture; a paradise in which food production is integrated with environmental conservation and supports the diversity, stability, and resilience of a natural ecosystem. 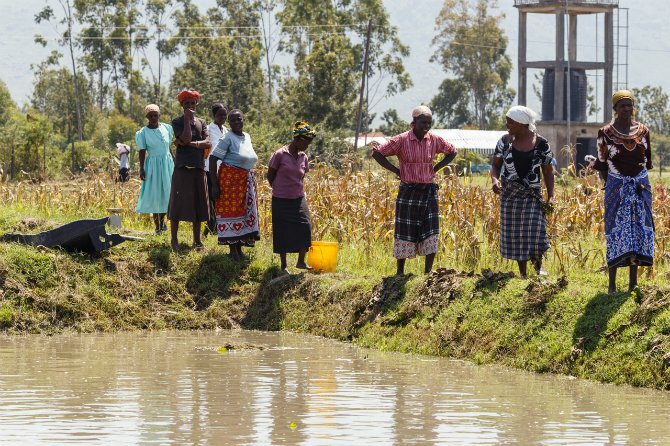 What inspires you to create sustainable communities in Kenya? In my life and work, I draw great inspiration from Wangari Maathai’s story of a humming bird. How does the farm benefit the whole community? Everyday, I look at my work and start by celebrating my successes, however small they may be. I send the farm staff to the Rescue Center to deliver fresh vegetables for the children; I welcome local businesswomen to the farm to buy healthy onions, kales, and tomatoes. When they return the next day, I greet their great smiles as they confirm to me that our produce sells faster than any other in the market. I feel so motivated that I end up forgetting our challenges for the time being. Being a global citizen means identifying yourself with and being part of the emerging world community with shared values. It involves having a sense of responsibility and willingness to act in actualizing global values without necessarily abandoning your real identities. Such as allegiances to countries, ethnicities and political ideologies; identities which give meaning to our lives and will continue to help shape who we are. A global citizen sees beyond the world's political borders and takes advantage of global diversity to seek solutions to the challenges facing our planet. They live a life that recognises the world as a complex web of connections and interdependence in which individual choices and actions have repercussions for people and communities locally and beyond. I see a future for this community in which members will be adequately empowered to deal with these challenges. Every member of this community will have healthy food produced under very sustainable agricultural practices; every household will have economic power to sustainably access various social services such as healthcare and education. Every member will have access to clean and safe water; and every member of the community will be living in peace and harmony with the environment. Check out Erick and Erin’s projects here. Become a Global Advocate Fellow yourself or learn more about Mama Hope here. This article was contributed by Mama Hope, a finalist for the Waislitz Award in 2015.